Victorian Soul (Book) Critiques began as a way for me to fight boredom: I recently moved to a city half the size of my native one, and it was clear I needed an occupation. Being a book devourer, I decided it was time for me to start reviewing in earnest. Before this blog, if I hadn't rated a book above four stars, I found that within six months most anything about it fell out of my memory. 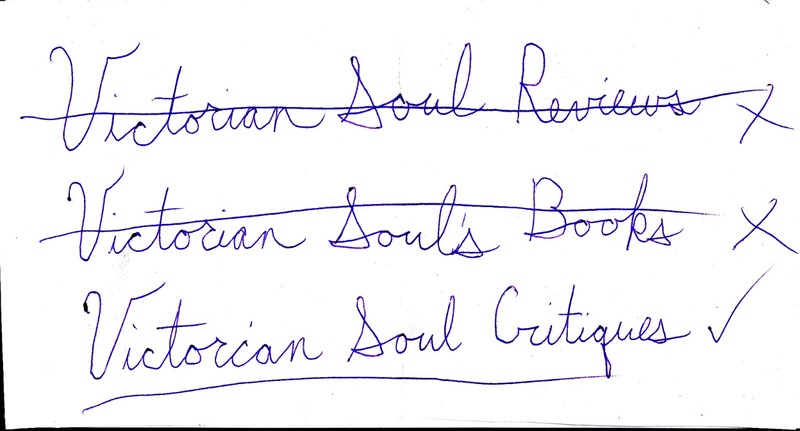 By critiquing books, I have a written memory: as soon as I glance through my reviews, I can remember what I loved or loathed about a certain title. 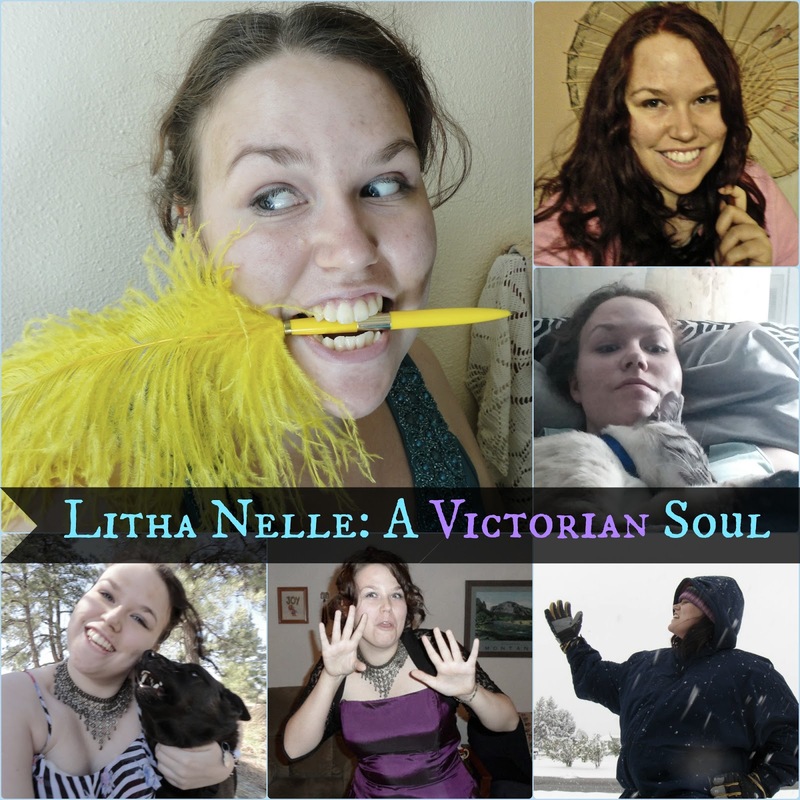 My friend once told me I have a Victorian soul, which is where I found the name for this blog. It does describe me quite well, but to a point. I hoard music boxes, unusual old jewelry, vintage clothing, and very, very old books. I like the idea of ghosts, but would preferably not become one. I like older homes, and the one I currently dwell in was built in 1903. I'm Litha Nelle, a twenty-something Jill-of-all-trades: you could call me a writer-reader-reviewer-artist-enjoyer-of-life, but frankly that would take too long. I took a non-traditional educational route, dropping out of high school and earning my GED (with honors, though I'm not sure what that entails), because of medical issues that still affect me to this day. I am an autodidact. I was born and raised in the great state of Montana, but became a resident of scenic Idaho about five years ago. My full first name is actually Talitha, but I use Litha because most people have a clue as to how to pronounce it (Tuh-lee-thuh vs. Lee-thuh, like Lisa with a lisp). At the doctor's office, I always know when it's my turn because the nurses pause and try to sound it out before finally saying my name. My hobbies (other than my mainstay of reading) include: writing (as in books worth), gaming (Skyrim, Sims 3, and original Pokemon), drawing/painting/photography, entertaining my dogs (see bottom of page), gardening, loom knitting, crazy crafting, and DIYing my current residence, which has a plethora of painted over peeling wallpaper (in some areas, 5 layers thick). I (sometimes) rock a cane courtesy of syringomyelia. I also have fibromyalgia (which I was diagnosed with as a teen). Getting to Know This Strange Person Who Blogs Me. 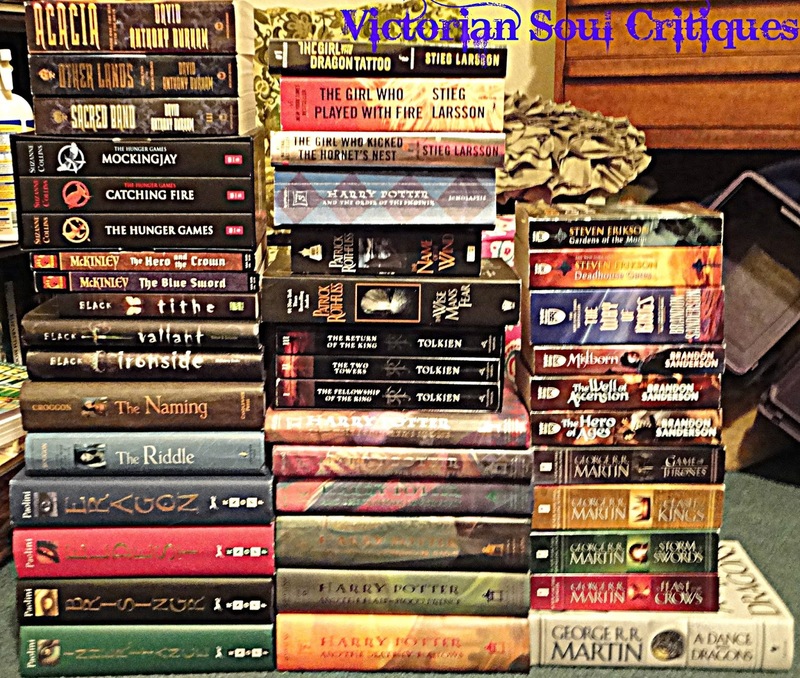 Fantasy, Science Fiction, Historical Fiction, Magic Realism Fiction, Paranormal Fiction, Classics, occasionally Fiction (with odd elements), and Romance with strong elements of any of the previously mentioned genres. I usually do not read and review Young Adult, unless it has strong elements of my preferred genres, or I read it myself as a teen. Torrie is a ten! (as of 3/17/18) year old reservation dog I adopted when she was almost two years old, after living in a shelter for a year and being adopted out (and returned) by three other people. She is a Schipperke-Australian Kelpie cross, and therefore has LOTS of energy- energy we put to good use by training her with different commands. Torrie also has an extensive vocabulary which means my mother and I have to watch our words when she's around. George is the recent addition, sole male and the only cat in our house. A four year old Siamese mix, George enjoys listening to the sound of his own voice... a lot. Between bouts of cuteness (like grooming and cuddling with his 'sisters'), he makes sure we all know he's around by attempting to burglarize our trash can, running through the house like his tail is on fire, and generally ensuring we are all on our toes, at all times. 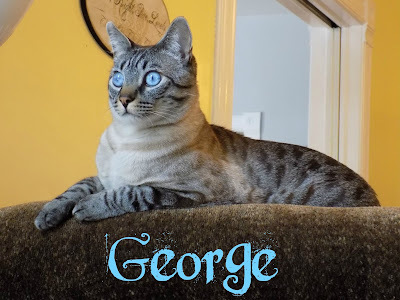 George was what I would refer to as an 'incidental' adoption. We weren't really looking for a cat, but finding a cat who loves dogs during cat adoption month... well, we couldn't pass him up. 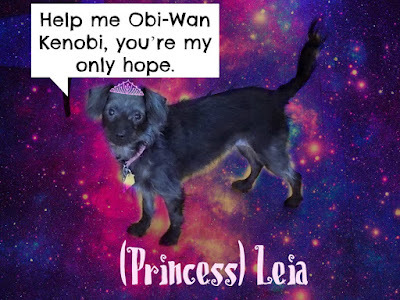 (Princess) Leia is the most recent addition, negating George's place as the baby of the household. Her shelter name was Princess, but she was clearly not a Zelda, a Peach, or a Buttercup, so we chose Leia as her true name. 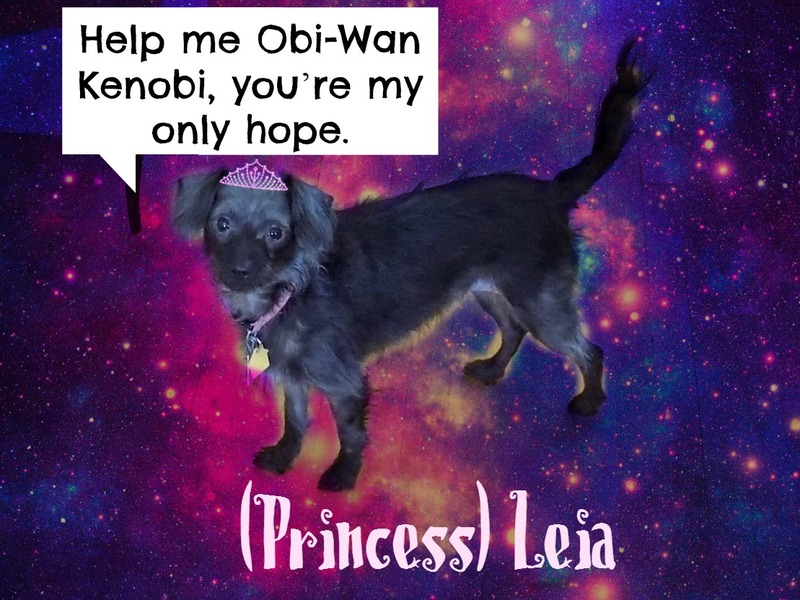 Leia is a two year old Min-Pin, Chinese Crested, and Mini Poodle Mix- but some part of me thinks she may be from another planet. She has allergies we're currently trying to battle with dietary and environmental changes. Leia loves to bark at passersby, leap off of high places, and make the house into her racetrack once she's stolen a toy from Torrie. George and Leia are the same size, leading to some interesting wrestling sessions. George thinks we got Leia to be his designated physical therapist- someone he can always count on to be game for a bout of "chase the cat". 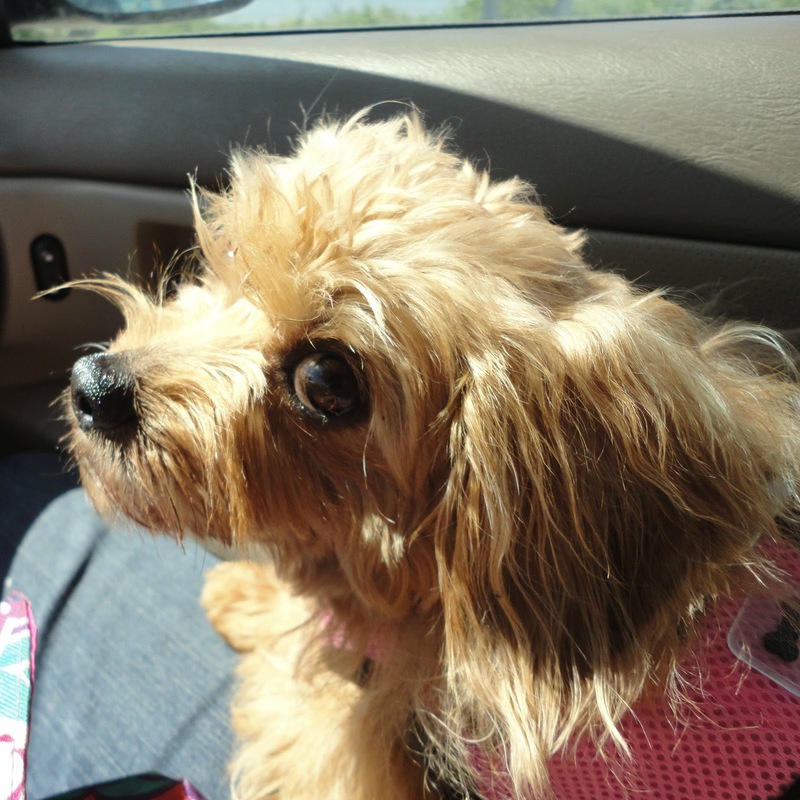 Keisha was an approximately eight year old Dorkie (Dachshund-Yorkie cross) I was lucky enough to find on Craigslist. Other than her penchant for licking and her amazing ability to get dirty soon after she had her baths, she enjoyed running in circles, having people coo over her cuteness, and being the center of attention. If another pet got too much attention, she would bodily block access to said pet, even though she was the smallest of the household. Keisha passed away in late 2016 due to heart failure, and I still miss her every day. Do pets a favor and spay or neuter them! 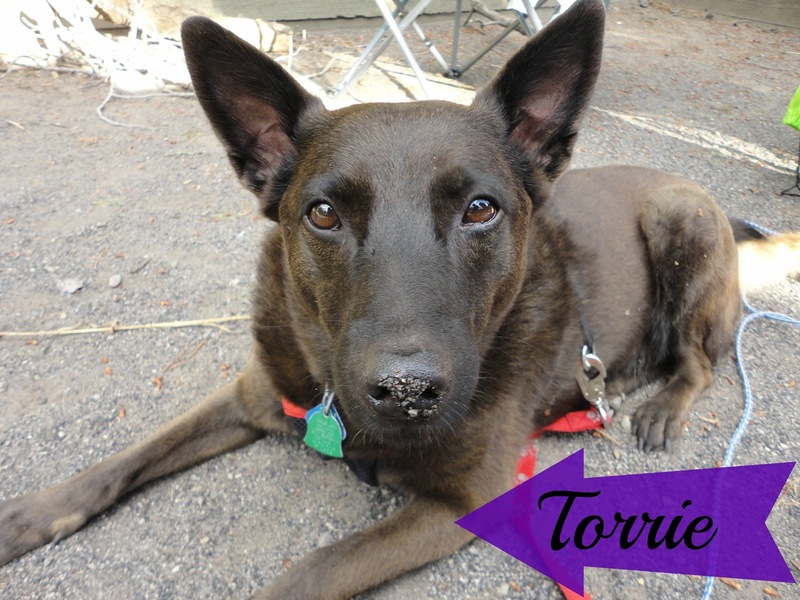 I spent a year working at the rescue shelter I adopted Torrie from. There are plenty of dogs and cats to go around, if you choose to save a life and get them pre-trained and waiting on someone to love them. Spay or neuter your pets. Support your local shelter. Donate. Volunteer. Clean a litter box. Take a shelter dog on a walk. Hey, Litha! Thanks for stopping by my site! I appreciate it! I look forward to reading your reviews!! Thanks for stopping by and commenting, Carrie! Agree? Disagree? Have something to add?